Do you enjoy learning in a past paced setting and enjoy being part of multi-faceted team? If you’d like to learn the various aspects of managing a National Nature Reserve that includes habitat management, visitor engagement, surveying and much more, then this could be the perfect training and development opportunity for you to get stuck into. We want a new Voluntary Trainee to join the team at Spurn National Nature Reserve that is enthusiastic, dynamic and a real people person that can help us with our work, while learning plenty of new skills for yourself. Spurn is one of Yorkshire’s most interesting and ever changing wildlife and heritage sites, its unique landscape is a draw to many visitors and never fails to inspire others about the importance of nature conservation. As a Spurn Reserve Voluntary Trainee you will gain a wide range of skills and knowledge centred on reserve management, visitor engagement and running a programme of events at a large visitor centre. We opened our new Discovery Centre last year, which is a fantastic addition to the nature reserve and refurbished Lighthouse. Spurn is a must see destination with so much to see and do; there’s heritage, history and wildlife galore! This is an amazing opportunity to be part of the exciting developments at Spurn and help make it an exceptional place to visit. 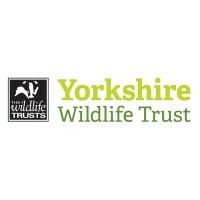 You will be involved in helping to plan and deliver practical reserve management; be part of the visitor experience by welcoming visitors on site and to the new Discovery Centre and providing essential information; helping out in the cafe and retail areas and also assisting with the varied and interesting programme of events that we have at Spurn. The variety of tasks you will be able to take part in should provide a good mix of skills for those who wish to work in the conservation sector and would be an attractive addition to your CV.